We offer a full range of Harrisburg property management services tailored to you as an investor, homeowner, or landlord. We have an extensive portfolio of single family homes, townhouses, condos, and apartments in the Harrisburg area. With Carod Properties, you'll have the peace of mind of knowing that your property is being professionally managed to help realize the maximum potential of your investment. Trust your investment to Carod Properties - the premier choice in Harrisburg Property Managers. Below are a few of the services we offer. Owners: Please subscribe HERE for a free 30 minute property analysis of your investment to include a Comparative Analysis of the Rental Market, Current Trends, Cash Flow Analysis and Property Management Needs. Whether you are an Owner that is looking for full service Harrisburg property management company, services to handle leasing, or assistance with vacant properties, Carod Properties can help. *Services are contracted and additional fees will apply. *Additional Services are only provided to clients with existing contracts. **Additional inspections do not include the 1-year inspections already provided in a standard contract. Carod Properties is a nationally known Preferred Home Finder. We provide a vast inventory of homes that will fit the needs of anyone looking to purchase, lease option or rent a home. Rent Credits: Each month part of your rent could get credited toward the purchase of your home, allowing you to build equity in your home faster than with a traditional mortgage - no more wasting all of your rent money. Improving Your Property: Because you may own the property soon, any improvements you do that increase the value of the property will help you build more equity for yourself. No banks: There are no banks to deal with until you are Ready to Purchase! 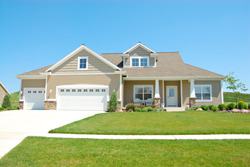 Own Your Own Home: You enjoy the benefits owning your own home before you buy it! Flexibility: You have total flexibility. You have the option to buy the home, not the obligation, if you decide at the end of the lease period you don't want to buy, you can walk away with no obligations. Your Credit: You are creating a strong credit reference while you are renting to own! You can build your credit with on-time monthly payments while you work on restoring your credit profile. Instant Equity: The purchase price of the home is locked in when you enter the rent to own program. As the property appreciates, your price stays the same so you will have years of equity building up as you rent-to-own the home. The equity in the home will help you get a better deal from the lender and you can also open a home equity line for spendable cash! Contact us to find out more about our homes in Harrisburg and surrounding areas and our Harrisburg Property Management Services. * Your upfront payment is credited 100% toward the purchase price when you close on the home purchase. The more upfront payment you have to work with, the more likely you will qualify for one of our available homes and the easier it will be for us to acquire a home just for you. Thank you for visiting this website, and for considering Carod Properties. Please fill out the form below to email me a summary of your property management needs. 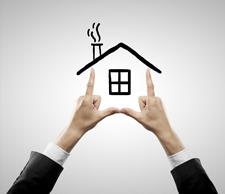 We take personal ownership in meeting your real estate needs. "I have been with Carod Properties since 2006 and I'm very pleased with the services they provide. Staff is very professional, courteous and always available. :-)!!!" "Carod Properties personnel has displayed excellence in all areas of professionalism in business matters." "I have been a client of carod properties for about 6 yrs. now and can always trust in the staff to get all my needs met." "When I came to Carod properties I was running around managing several rentals and losing thousands of dollars every month. After just one meeting I knew Carod was right for me. Now several years later I do not even think about my real estate & just receive payments every month, Carod takes care of everything!" "I have been with Carod Properties since 2007 and their service is impeccable. Carod Properties provides monthly statements, deposit rental payment in my account and provides the tenants with excellent service. The company keeps me informED of the properties status. It is a blessing to find a company that cares for my properties since I do not live in that states." "Thanks for your dedication to me and all the other Clients at Carod Properties. I appreciate your work and job well done. I am glad that I was referred to the best six years ago. (My my, how time flies). I wish you and your company continued success." "Lynda & I are happy we chose you to be our property manager." "Thank you Sherkica I look forward to working with you again in 2013 and into the future." Settled mostly by Scotch-Irish sometime between 1732 and 1765, Harrisburg -- still home to families that arrived in the 1700s -- came by its name from the Robert Harris family and his descendants. Mr. Harris was established on land of his own here in 1766. With the coming of the railroad in the 1850s, the depot took the name of the landowner from whom the right-of-way was purchased, becoming known as Harris Depot. In 1874 the Post Office underwent a change of name from Harris Depot to Harrisburg. Copyright © 2019 Carod Properties. All Rights Reserved.